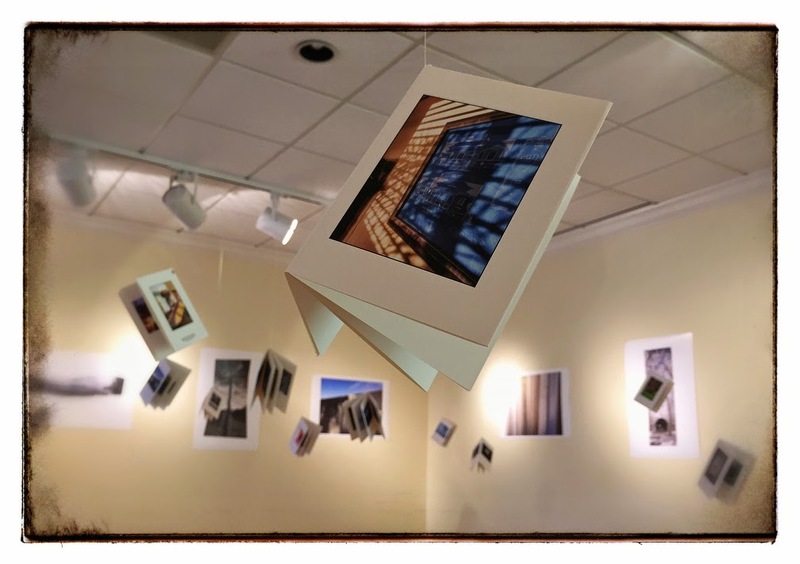 Today I helped Mary hang her photo exhibit at the Kent Gallery of Florida State College. 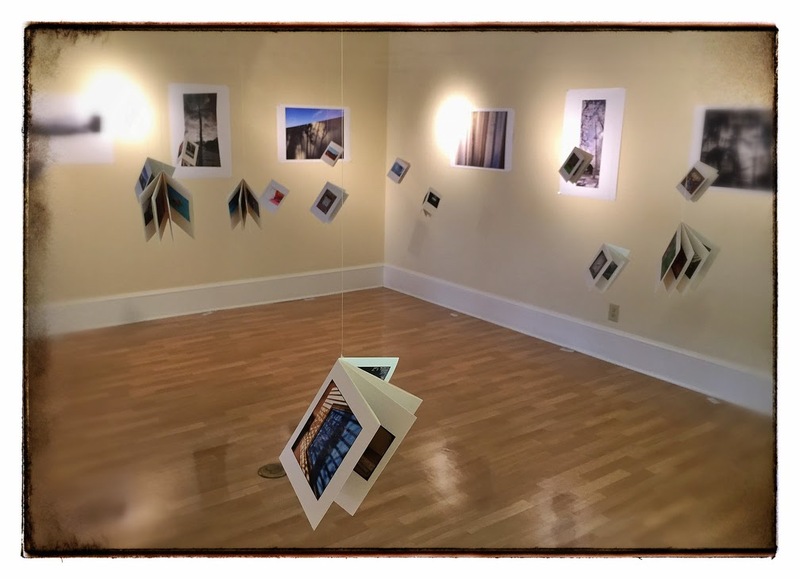 Besides the photos hanging on the wall, she printed little books, each with work from one week. We hung these from the ceiling with monofilament fishing line. Pretty cool!